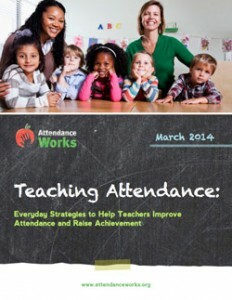 To help you build a culture of attendance and maintain it throughout the school year, Attendance Works has created this Teacher Toolkit. 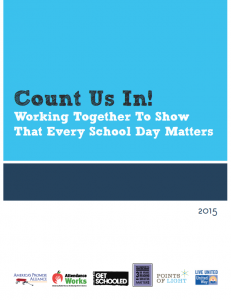 We hope you can draw from the resources we have developed to help drive up attendance in your classroom and throughout your school community. 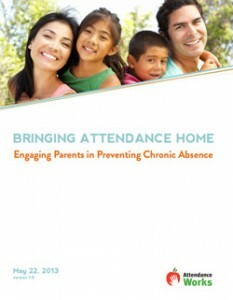 The Leading Attendance toolkit provides templates, tools and messaging principals can use to improve attendance in their schools. It also features profiles of principals who are rallying their staffs to reduce chronic absence. This toolkit outlines key steps for implementing the PEOPLE strategy: Priority Early Outreach for Positive Linkages and Engagement. The PEOPLE strategy identifies the students and families most at risk and helps them build positive relationships that promote regular attendance.